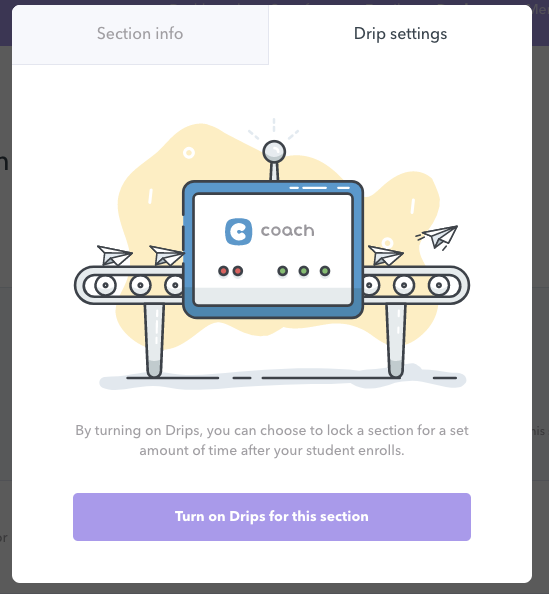 A drip course is when you set a delivery schedule for the content within your course. This means your customers can only access certain parts of your course at a time. As your customers progress through the course, content gets delivered to them, and eventually, they’ll have access to the full course. 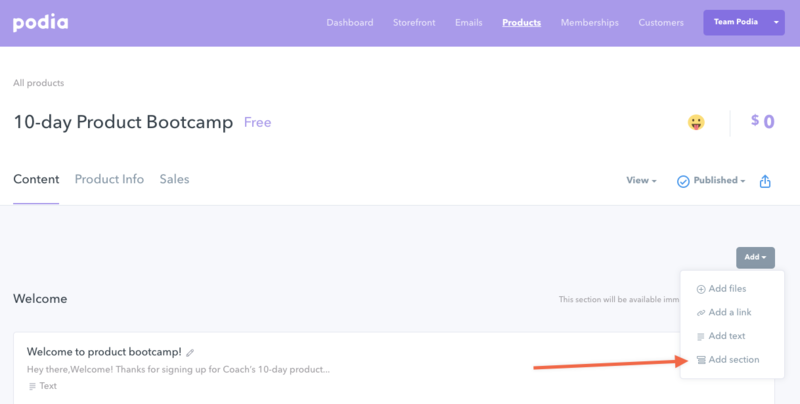 As you can see, your customers will be able to preview all of the content within the upcoming section, and keep track of the delivery schedule via the countdown clock above it. This is a great way for your customers to focus on one course module at a time, while still planning for what’s to come. 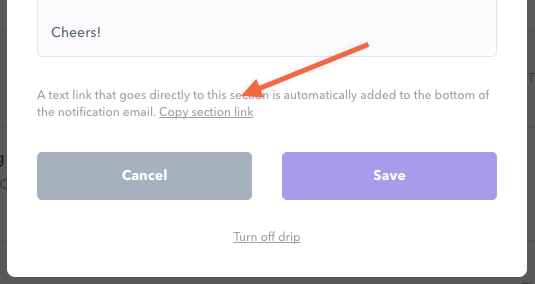 You'll find the Drip settings when creating or editing a Section. To make things super easy, everything has been contained within one block, so you don’t have to click away to another page just to set things up. 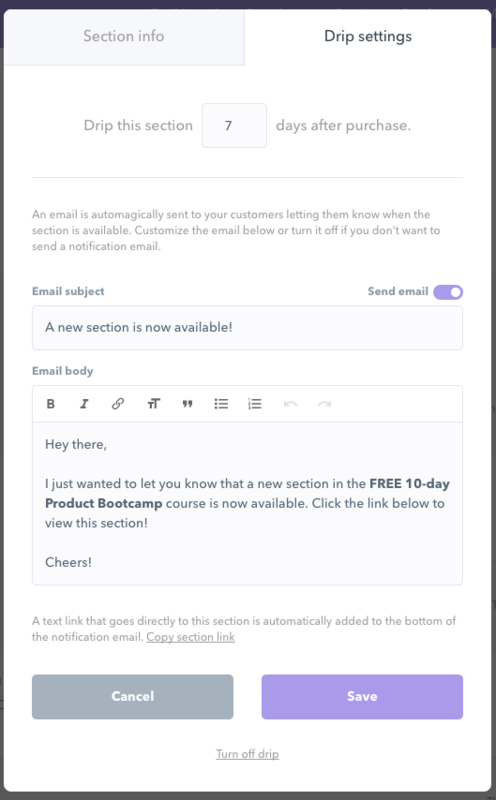 We also recommend you create an email to go along with each section, so your customers will get notified when the section is available to them (this is currently a default setting, but you can turn it off). At the bottom of the email, we’ll include a link directly to the current course section, but if you’d like to copy and paste the link into the body of your email, you can do that too (click on “Copy section link” in the bottom right corner). 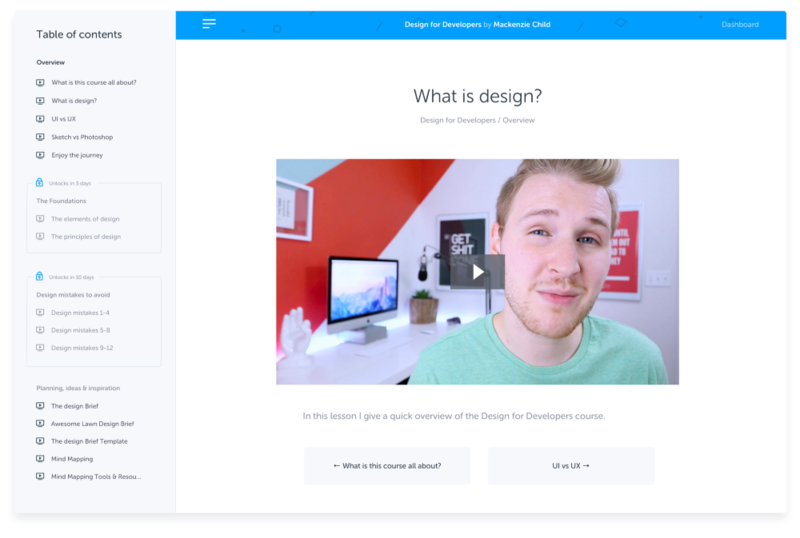 If you have more questions about how to drip your online course, just reach out to us at [email protected] (or just click the little blue icon at the bottom right of the screen).